Afghan native Obaidullah Siddiqui was stripped of his right to stay in Canada because he returned to his war-torn homeland to visit his parents. Sometimes, going home can have terrible consequences. Afghan native Obaidullah Siddiqui learned that the hard way when the former refugee was stripped of his right to stay in Canada because he made the mistake of going back — three times — to his war-torn homeland to visit his aging parents. After living in exile in Pakistan for two decades, Siddiqui and his family were resettled to Canada as permanent residents by a private sponsorship group in January 2011. But as his marriage started to crumble amid the chaos of the resettlement, the 49-year-old Surrey, B.C. man said he took three separate trips back home — two accompanied by his children — to visit his parents in Herat and to get their help in saving his marriage. In November 2013, immigration officials initiated what is known as a “cessation application” and later stripped Siddiqui’s permanent resident status on the grounds “he was found to have re-availed himself of Afghanistan’s protection” and his life would no longer be in danger there. As a result, Siddiqui became the first case where a sponsored refugee arriving as a permanent resident was stripped of his status, and faced removal under changes the Tories introduced in 2012 to immigration laws to make losing permanent residence automatic in such circumstances, with no discretion. “This has broken me. I am going through extremely hard times mentally, emotionally and psychologically. I am being separated from my three lovely children and I am facing an ambiguous future,” said Siddiqui, who fled Afghanistan for Pakistan in 1987 before he came here. The number of cessation applications by immigration has skyrocketed from 30 in 2012 to 256 in 2015. Although officials targeted former refugees who were granted asylum in Canada, resettled refugees such as Syrians who recently arrived are not immune. With the new Liberal government in power in Ottawa, the opposition New Democrats have brought forward a private member’s bill to repeal cessation provisions of the law and suspend these cases until the legislation is passed. “No matter that the conditions of the country of origin have changed. No matter that you are going back to see a dying relative for one last time. No matter that the law did not exist at the time of travel. You are at risk of losing your permanent resident status,” said NDP MP Jenny Kwan, her party’s immigration critic. Siddiqui has taken his case all the way to the Federal Court of Appeal, arguing he should be excluded from cessation proceedings because he arrived as a permanent resident under the humanitarian protected person abroad class, instead of going through a refugee determination process pleading for Canada’s protection. In a similar case following the cessation proceeding against Siddiqui, Jose de Jesus Bermudez was resettled to Vancouver in 2006 from Colombia, where he and his family members were the victims of paramilitary violence. In 2014, officials initiated cessation proceedings against him because he declared in his citizenship application that he had visited Colombia twice — in 2008 and 2009 — to meet and marry his then-fiancée. In Bermudez’ case, the court also sided with the government and concluded it must respect the policy choices of Parliament and apply the law as it stands, despite humanitarian considerations of the consequences. “It is open for Parliament to amend the Immigration and Refugee Protection Act such that permanent residence status not be lost in the event of a favourable cessation application,” the court said in a decision in April. Douglas Cannon, Siddiqui’s lawyer, said Canada cannot just arbitrarily remove a former refugee’s permanent resident status. What is worse, Cannon said, is his client actually contacted immigration before visiting his parents and was advised he could travel to Afghanistan and return provided he had his permanent resident card with him. 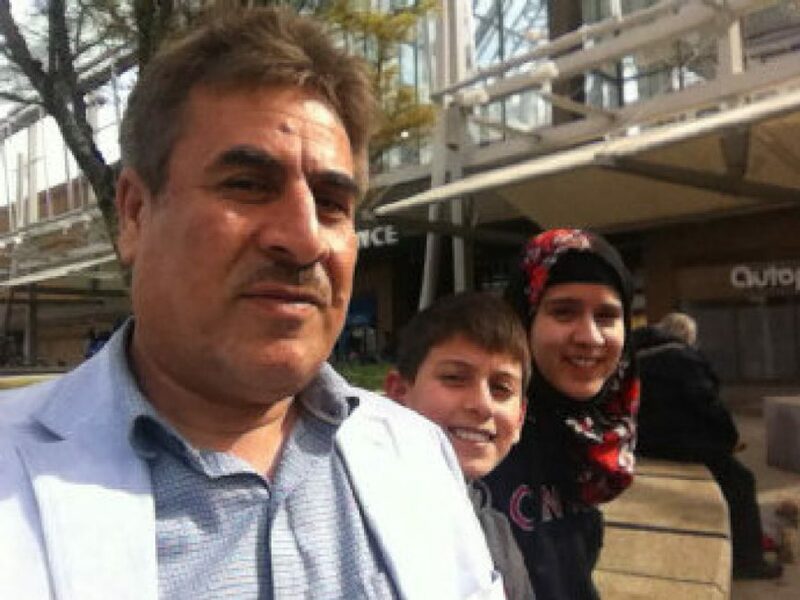 Meanwhile, Siddiqui is still fighting to remain in Canada to be with his sons, Obair, 17, and Ozair, 12, and daughter, Abedah, 13. Another classic example of Male Sharia Law in practice. for their own extreme feminist views of women as victims, which might or might not be the case in this story. The story so far, does not give any indication that his wife is a victim in any shape. The real victims are the children and its an example of how Canadian society works to destroy children's relationships with their father.